The Laboratory Technology Associate Program (Lab Tech) offers current undergraduate students or recent bachelor’s or associate degree graduates an opportunity to develop their technical skills at Oak Ridge National Laboratory. Opportunities are driven by ORNL needs and include both full-time and part-time opportunities. The program is designed to complement academic programs and prepare individuals for a career in the technical workforce. 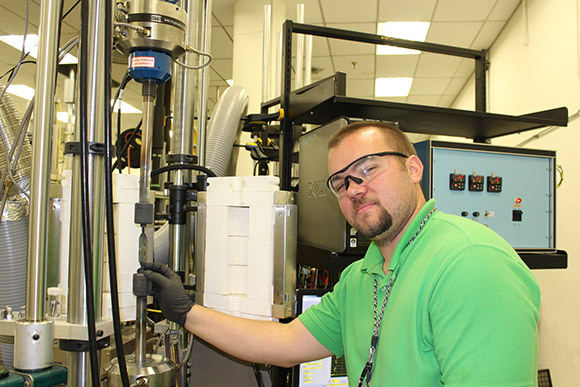 In the Laboratory Technology Program at ORNL, Rick Lowden helps test the mechanical properties of materials to ensure their safe and efficient use in a variety of technology and engineering applications.